Illustrated by our pal Steph Laberis! 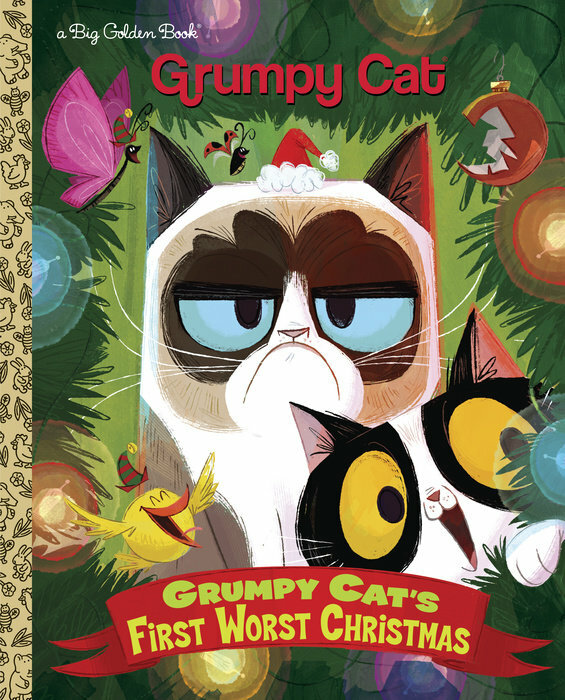 Grumpy Cat has over 8 million Facebook followers and now... a Christmas-themed Big Golden Book! In the story of Grumpy Cat's First Worst Christmas, Pokey makes every effort to get Grumpy Cat to join in the Christmas spirit! Pokey wants to build a snow-cat together, go sledding, decorate the Christmas tree, and bake cookies for Santa! But Grumpy Cat wants to live in her wonderland of NO. Join your favorite feline as she celebrates the most terrible time of the year! Grumpy Cat fans of all ages will get into the spirit with this Big Golden Book, featuring all-new full-color illustrations. Steph is a character designer and illustrator who works in animation, children's books, and toys.